Kiwi Wealth has hired BNP Paribas Securities Services (BNP) to spruce up its funds back office following a tender run by Australian consultant, Drew Vaughan. It is understood BNP beat out contenders MMC and JP Morgan to build a new back-office system – including fund administration and custody – for the $5 billion plus Kiwi Wealth. Joe Bishop, Kiwi Wealth head of product and innovation, could not confirm BNP had been appointed. However, Bishop said Kiwi Wealth had selected a ”preferred provider” after a full RFP (request for proposal) process. “We’re working through the contract details now and should have it finalised in the next three to four weeks,” he said. The new administration system would first be applied to the group’s recently-launched suite of four wholesale funds before potentially rolling it out across the entire Kiwi Wealth product range in phases. In May the Wellington-based Kiwi Wealth also released a range of three risk-weighted retail funds that invest into the underlying wholesale products. The retail funds, in turn, back the group’s new robo-advice service – the first-to-market in NZ under a Financial Markets Authority (FMA) exemption allowing ‘personalised’ digital advice. Kiwi Wealth plans to launch the robo-advice service in stages beginning with a small group of clients in August. Bishop said outsourcing fund administration and custody – which is currently performed by a mix of internal resources and external providers – would allow Kiwi Wealth to “focus on where we add value”. Introducing a consolidated back-office system would also enable the group to “build a model for scalable growth”, he said. “We’ve seen exponential growth and we expect that to continue,” Bishop said. Kiwi Wealth funds have a strong weighting to offshore assets which underscored the need to “partner with a global custodian”, he said. 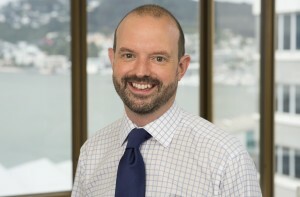 According to Bishop, the group’s in-house administration experience helped Kiwi Wealth understand what it required from a third-party provider. Vaughan recently consulted to the Accident Compensation Commission, which consolidated its services providers under JP Morgan, and the NZ Superannuation Fund (ACC) as it retained Northern Trust as custodian. ACC and NZS collectively own about half of the Kiwi Wealth parent company (the remainder is owned by another government entity, NZ Post). Across its existing product range – dominated by the $3.6 billion KiwiSaver scheme – Kiwi Wealth relies primarily on in-house administration services under arrangements first set up by predecessor business Gareth Morgan Investments (GMI). GMI famously eschewed unit-pricing in favour of a bespoke home-built administration system that remains largely in place – albeit that asset pricing for the KiwiSaver and other legacy schemes has moved from monthly to weekly pricing. Kiwi Wealth delegates custody to JB Were for KiwiSaver scheme but acts as its own custodian in some other products. The new retail product range uses Public Trust as custodian and MMC for unit pricing and registry. Public Trust is supervisor for all Kiwi Wealth funds.